Give them a pizza your heart with Fabio Viviani Margherita Pizza Set. 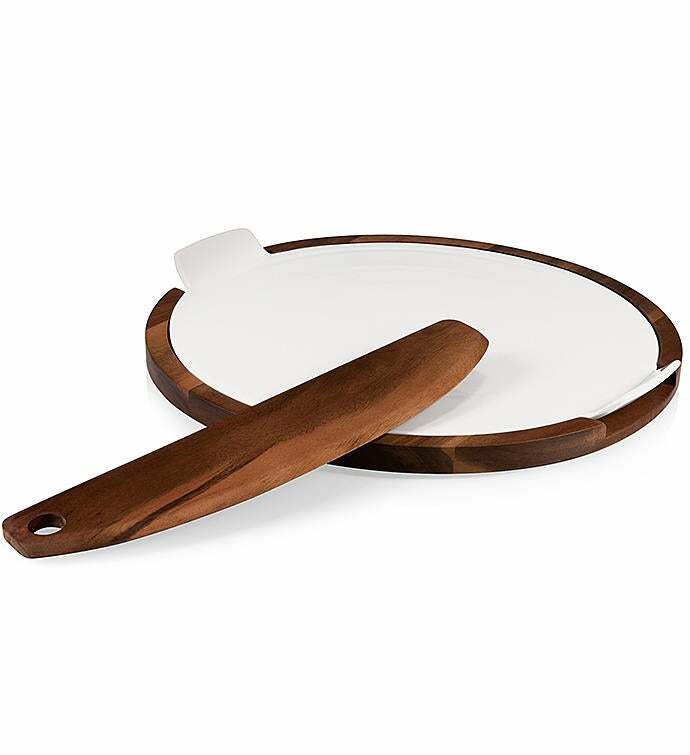 This elegant pizza stone with wooden handling and finishes is sure to catch some eyes at your next get together. The ceramic pizza stone provides even heat for a perfectly crisp crust. The stone sits in an acacia base for preparation and cutting. The set includes an acacia pizza cutting tool for quick, easy slicing. Dimensions: 14.5" x 14.5" x 1.5"